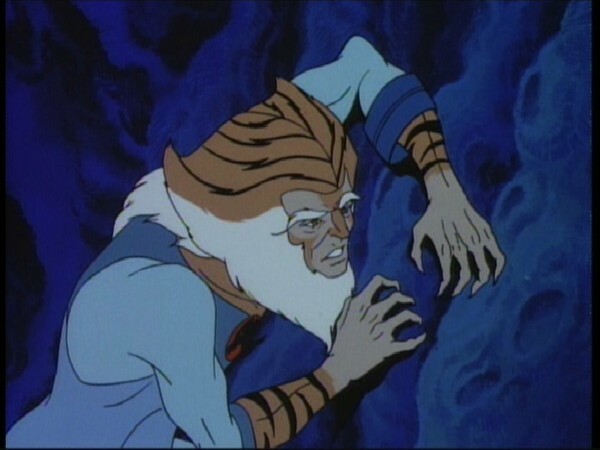 While looking for Thundrillium (the ThunderTank’s source of power), TYGRA gets caught in the Cave of Time, aging him rapidly and making him too feeble to leave. 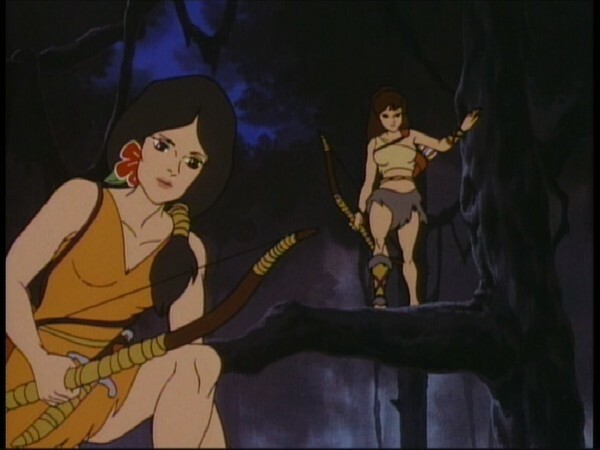 LION-O rushes to assist, but WILLA, a Forest Warrior, warns him that he is not quick enough to escape the cave’s magic. CHEETARA’s super speed enables her to rescue TYGRA without any ill effect. WILLA directs them to the Geyser of Life where (after battling the winged snakes who guard the fountain) TYGRA is restored to his true age. Patience is a worthwhile virtue. Acting on impulses is shortsighted and often foolhardy. Sometimes it is important to temper impulses and delay before acting. Thinking through a situation can save time, can avoid creating additional problems, and can lead to more desirable results. The ability in pre-school children to delay gratification of impulses by waiting is an important index of cognitive and social competence, coping skills, and school performance at an adolescent age (Mischel, in press). An important element which influences the ability to delay when faced with a situation calling for either an immediate gratification or a delayed but more desirable outcome is the way in which the rewards of an action are thought about. If the mental representation of the immediate reward is arousal-generating (e.g. focusing on the taste of pretzels), the delay is lengthened (Mischel, 1981). MISCHEL, W. (In Press). “Delay of Gratification as Process and a Person Variable in Development”. In D. Magnusson and V.P. Allen (Eds. ), Interactions in Human Development. New York: Academic Press. MISCHEL, W. (1981). “Metacognition and the Rules of Delay”. In J. Flavell and L.D. Ross (Eds. ), Cognitive Social Development: Frontiers and Possible Futures (pp. 240-271). New York: Cambridge U. Press. 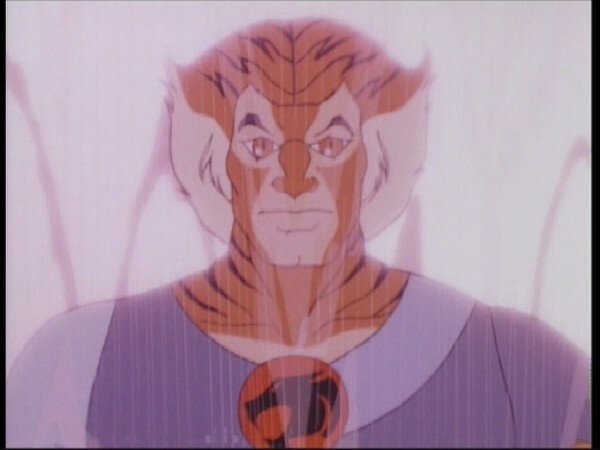 Although the seventh episode to be broadcast in the U.S., “Trouble With Time” is the fifth episode of ThunderCats to be produced, and so consequently follows on from where the previous episode left off, with the ThunderCats and Mutants both continuing to settle into life on Third Earth. Interestingly, this episode begins with a similar theme to that of the aforementioned previous episode, “The Slaves of Castle Plun-Darr”. In that episode, the contrast between the two opposing races is showcased by their differing approaches to establishing a base on their adopted planet, the ThunderCats building Cats Lair with the assistance of the Ro-Bear Berbils with whom they have formed a bond of friendship, and the Mutants building Castle Plun-Darr by enslaving the docile Brutemen to serve as workers. 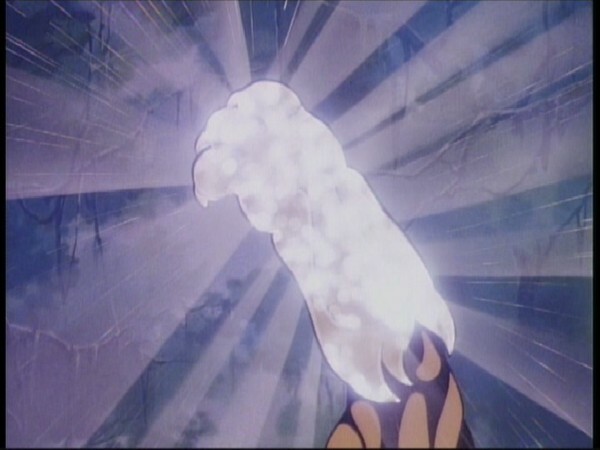 At the start of this episode, both the Mutants and the ThunderCats have differing practical problems—the Mutants, presumably used to being served by slaves and thus unable to properly feed themselves, require a “woman’s touch” to attend to their culinary needs, whilst the ThunderCats are running low on energy and need to search Third Earth for Thundrillium, their fuel supply. Whilst the ThunderCats’ needs are obviously more understandable, nonetheless this is a clever way of not only showing both parties still adjusting to life on Third Earth, but also showcasing the differences between the two. 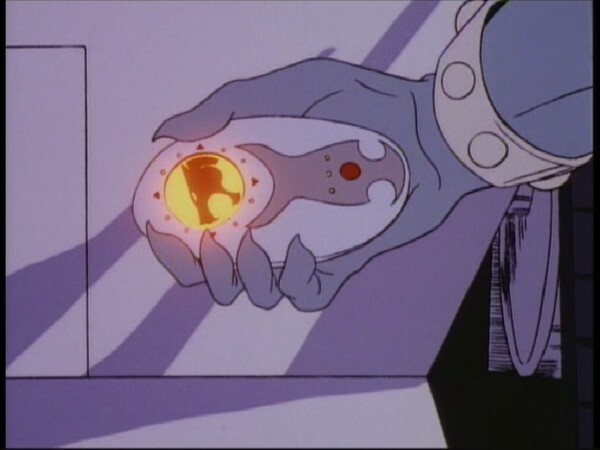 The other theme that this episode deals with is the reaction of the people of Third Earth to the ThunderCats’ and Mutants’ arrival on their planet. 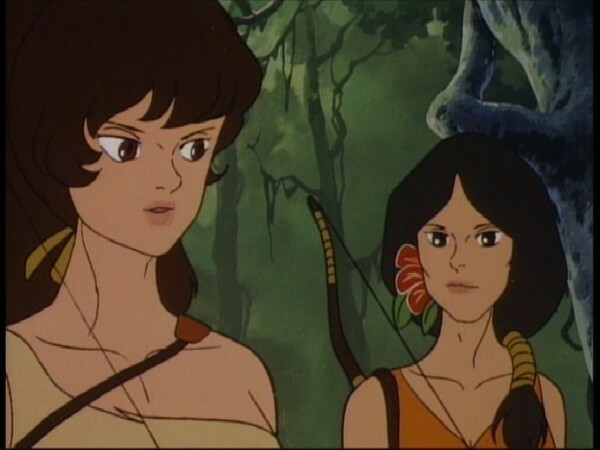 In this episode we first meet Willa and Nayda, the two Warrior Maidens who, as far as the audience is concerned, represent their race for the rest of the series, making many appearances. 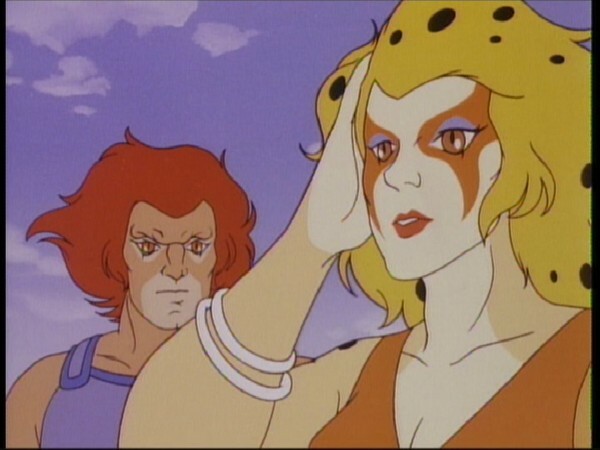 Although it’s easy to judge the Warrior Maidens harshly for being so suspicious of the ThunderCats, being objective it isn’t hard to see why they would react the way that they do. 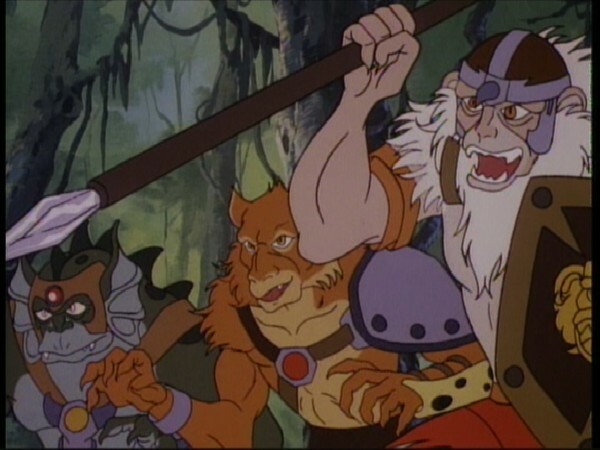 Although accentuated by their naturally suspicious natures, from the Warrior Maidens’ perspective the ThunderCats and Mutants have brought their ongoing conflict to what was a reasonably peaceful world (remembering that the threat of Mumm-Ra was also awakened by the arrival of the Eye of Thundera on Third Earth), and at first they struggle to tell the “good guys” from the “bad guys”. 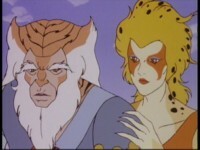 Although this episode focuses on Tygra’s ordeal in the Cave of Time, the real story of this episode is about the ThunderCats’ need to earn the trust of the people who live on their new home planet. This episode is also notable for showing that, even though Lion-O is maturing and growing quickly into a man, inside of him there is still a small boy struggling to fight his way to the surface. 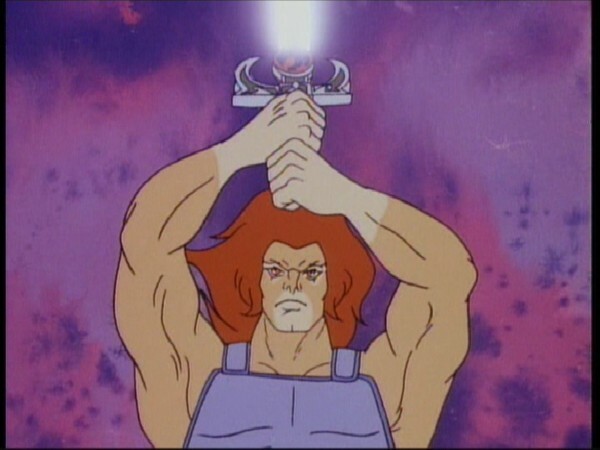 Obviously his taking the ThunderTank for a “joyride”, displaying overconfidence and nearly crashing Panthro’s treasured vehicle in the process, is somewhat unbefitting behavior for the Lord of the ThunderCats, but is the sort of thing that one could expect from a fun-loving, pre-adolescent boy. 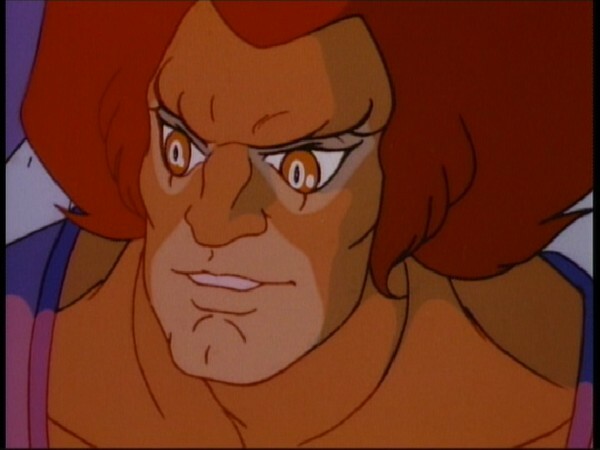 One of the most interesting and well-written scenes of character development in this episode is when Panthro chastises Lion-O for his actions, and how Lion-O reacts to it. 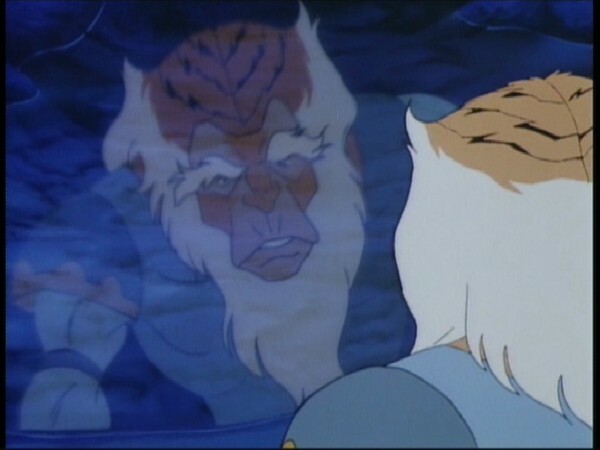 It would surely be natural for Panthro to look at the young Lord as the ThunderCats’ leader and thus beyond reproach, and equally easy for Lion-O to be dismissive of Panthro’s criticisms because of his position, but such is the family-like relationship between the ThunderCats that this doesn’t even come into consideration. If I were to point to one episode where the ThunderCats series really started to take off it would be this one—the first to follow the four introductory episodes needed to be good, and so the writers came up with a story that is engaging, entertaining, multi-faceted and action-packed. In short, a classic episode! This is the first episode not to feature the full cast of ThunderCats, with WilyKit and WilyKat both absent from the episode! 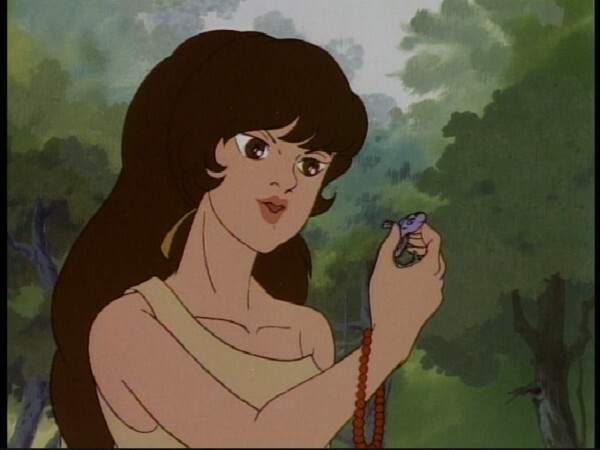 Although this episode was originally broadcast in the U.S. as episode 7 (and appeared on Warner Brothers’ ThunderCats Season 1 Volume 1 DVD release assigned the same number), this episode is actually the fifth to be produced. One point of continuity that demonstrates this is how Lion-O in this episode displays an inability to drive the ThunderTank. This is referenced in the next episode, “Pumm-Ra” (broadcast as episode 5, but the sixth episode to be produced) where Panthro tells Tygra that Lion-O took to driving the Tank “like a fish to water”. At the start of this episode we see the Mutants being served by a strange, lizard-like creature. No explanation is ever given within the series as to who or what this creature is or where it comes from. The creature seems reminiscent of a very slim, possibly quite aged Reptillian! This is the first episode of ThunderCats not to be penned by Leonard Starr, instead being written by the team of Ron Goulart and Julian P. Gardner. At the time of writing this episode Ron had already had a long and extensive career writing predominantly for comic books and sci-fi/fantasy novels, and since working on ThunderCats is perhaps most noted for writing for and alongside actor William Shatner on his TekWar series. 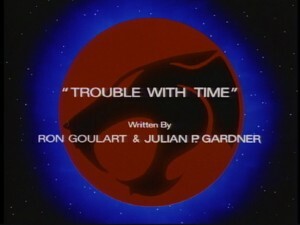 The authors of this ThunderCats episode would collaborate again for the episode “The Terror of Hammerhand”, with Julian P. Gardner (the nom de plume of series creator Jules Bass) also penning other early episodes “Pumm-Ra” (on his own) and “The Garden of Delights” (with Barney Cohen).